On Friday, January 29, the advanced LEAP-1B engine successfully completed a two-hour, 47- minute first flight powering the new Boeing [NYSE: BA] 737 MAX. Taking off from Renton Field in Renton, Washington, at 9:46 a.m. local time, the flight landed at 12:33 p.m. at Seattle’s Boeing Field. The 737 MAX program achieved the milestone on schedule, launching a comprehensive flight-test program leading to certification and delivery in 2017. “The flight was a success,” said Captain Ed Wilson, chief pilot, 737 MAX. “The 737 MAX just felt right in flight giving us complete confidence that this airplane will meet our customers’ expectations. This first flight is another major step in the joint airplane/engine development program that will culminate in the entry into commercial service with Southwest Airlines in 2017. CFM is on track for joint U.S. Federal Aviation Administration and European Aviation Safety Agency certification to support the aircraft entry into service. 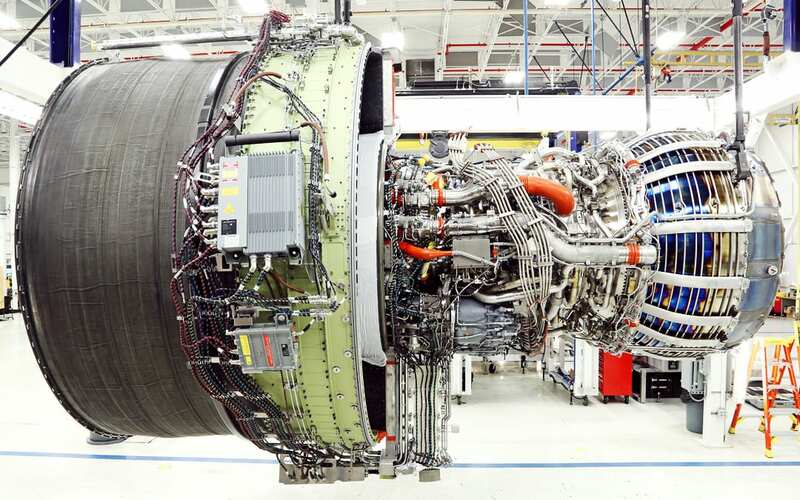 Nearly 70 percent of the required engine certification reports have been submitted to date. The LEAP-1B, which was chosen as the exclusive powerplant for the 737 MAX family in 2011, represents the new state-of-the-art in engine technology. The foundation of the LEAP engine is heavily rooted in advanced aerodynamics, environmental, and materials technology development programs. It will provide double-digit improvements in fuel consumption and CO2 emissions compared to today’s best CFM engine, along with dramatic reductions in engine noise and emissions. All this technology brings with it CFM’s legendary reliability and low maintenance costs. The first full LEAP-1B engine began ground testing in June 2014, three days ahead of schedule, as part of the most extensive ground and flight test certification program in CFM’s history. To date, the total LEAP development program has logged more than 8,000 hours and nearly 17,000 cycles of ground and flight testing. The LEAP-1B completed nearly 300 hours over more than 50 flights on flight testing on a modified 747 flying testbed in 2015. CFM has been the sole engine supplier for all Boeing 737 aircraft models since 1981. To date, a total of 6,144 LEAP-1B engines have been ordered to power the 3,072 MAX aircraft family from 62 customers. CFM International, a 50/50 joint company between Snecma (Safran) and GE, is the world’s leading supplier of commercial aircraft engines and has delivered nearly 29,000 engines to date. Read more about the first flight and the 3-D parts in the LEAP-1B at GE Reports. PreviousGE Turboprop Center of Excellence headquarters announced!